Why have a Dermapen treatment at Therapy House? Dermapen is a handheld micro-needling device that works by harnessing your body’s innate ability to regrow and repair skin as a response to micro-injuries. By creating tiny channels in your skin that close in a matter of minutes, we can stimulate your skin to create collagen and elastin, which will improve its health, tone and texture. Micro-needling with the Dermapen is an excellent option if you have mild-to-moderate sagging on your face or would like to address areas of sun damage, hyperpigmentation or acne scarring. Because the treatment stimulates new collagen growth, you should see improvements to your skin tone and texture for several months after your treatment. Thanks to the adjustable needle depth and speed settings, we can create a treatment that’s completely unique to your skin. Dermapen treatment can rejuvenate and tighten, improve texture and skin tone, and even reduce your fine lines and wrinkles. What is the Genuine DermarollerTM? The Genuine DermarollerTM is a sterile single-use micro-medical skin-needling device that we gently roll over your skin to create thousands of tiny micro-channels or pinpricks. Although these micro-channels close by themselves, they stimulate your body’s healing response and the growth of new collagen and elastin. This is a popular treatment because it stimulates the skin to repair itself naturally and safely, creating brighter, smoother, healthier and younger looking skin. 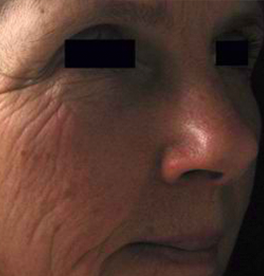 You can read more about Genuine DermarollerTM treatments here. The Dermapen is a handheld fractional micro-needling device. It looks like a pen, but has a single-use tip containing 12 micro-needles that can be adjusted to different speeds and depths depending on where on your face we’re using the Dermapen. The fragile skin under your eyes, for example, would need a shallower depth needle than the skin on your cheeks. What issues can the Dermapen be used to address? 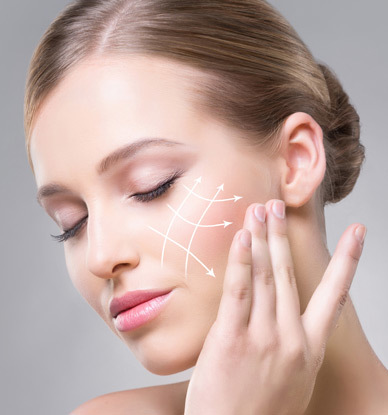 What happens during the Dermapen treatment? During your initial consultation, we will spend some time talking to you and analysing your skin, as well as explaining how the Dermapen works. When you have a Dermapen treatment, we will gently cleanse your face to remove any traces of make-up or debris on your skin before applying a hot towel to your face to help open up the pores. At this stage, we will also exfoliate your skin to remove any dead skin cells and reveal the new, healthy cells underneath. Next, we will apply a topical anaesthetic cream to your skin, which we will leave on for 25 to 30 minutes. During this time, you can lay back and relax. Finally, we will use an antiseptic wipe to make sure that no bacteria remains on your skin. With your skin prepared, we will gently and methodically move the Dermapen across your face, neck and décolletage, as required, in columns then rows, typically passing over every area of your face twice. 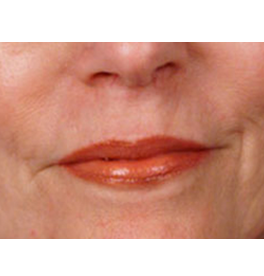 We may do a third pass over your skin using gentle stamp-like motions where you have deeper lines and wrinkles. You should see the results from your Dermapen treatment for months afterwards. You may need a course of several treatments to best address problems such as acne scarring or hyperpigmentation, but we will discuss this with you at your initial consultation. Every person is different. After your initial treatment sessions are complete, you may want to book a top-up Dermapen treatment every six months to maintain your skin’s refreshed and rejuvenated appearance. 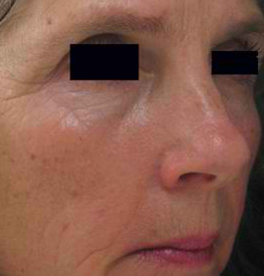 The side effects of a Dermapen treatment are mild and self-correcting. The most common side effects are redness, stinging, itching and skin tightness for 24 to 48 hours post-treatment, after which the symptoms should subside without intervention. Most people don’t need time off after this treatment, although if your skin is red afterwards, you may want to time your treatment for a day when you can go make-up free or spend some downtime relaxing until any redness subsides. Want to know more about Dermapen treatment?